All of the events are set and here are the details. 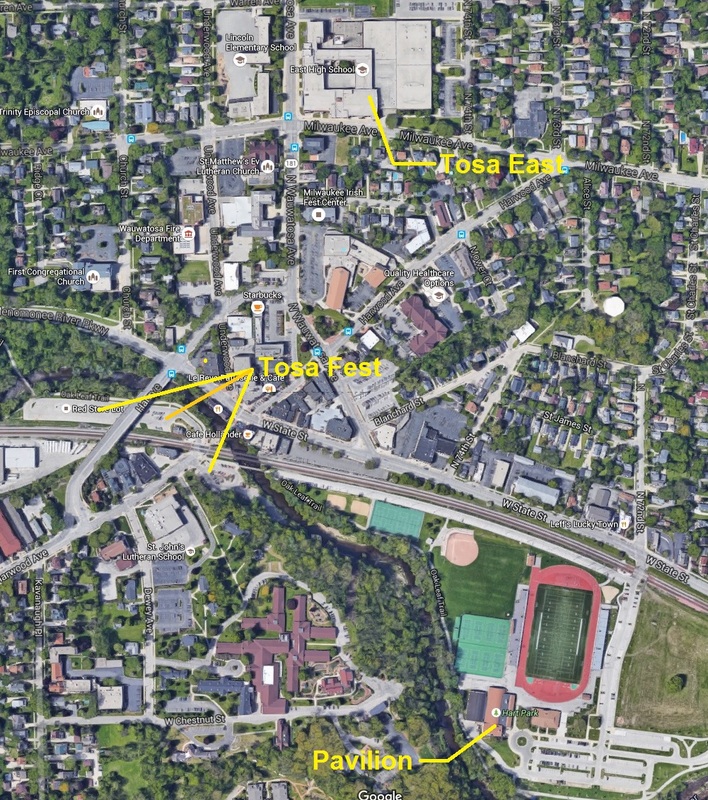 If you've been away from Tosa for a lot of years, you might want to refer to the map below. The map at the right is from Tosa Fest showing this years grounds. We have marked our approximate meeting location with a four-point star. You may have heard that there is major construction on State Street. It's true, but it really won't interfere with Tosa Fest. Over the years as Tosa Fest grew in size, it spread into the parking areas under the Harmonee Bridge. (This bridge was not there when we attended East!) What the organizers did was simple: move all of the event into those parking areas. September 10th (Saturday) - 10:30AM - 12:00PM - Tour of Tosa East. Enter at the main entrance on Milwaukee Avenue. (It's the entrance you see in the photo above.) If the doors are open, you might not see anyone because everyone might have gone inside into the Learning Center area. No RSVP is needed. Parking is available in the Tosa East parking lots. September 11th (Sunday) - There are no formal or informal events currently planned. However, it's football season and the Packers are playing the Jaguars starting at noon. We have received one suggestion that we meet at Mo's Irish Pub in Wauwatosa which is on Bluemound Road and Hwy 100. We are looking for a classmate to "host" this event which simply means you'll be there and be willing to give your cell phone number so classmates may contact you if they're having difficulty finding the group. If you're wondering who will be coming, we have a dedicated page to show those who have registered and those who have let us know their regrets. Click here to see the registration page. Our 3 venues are marked on the map below. Click here or on the map for a larger view. 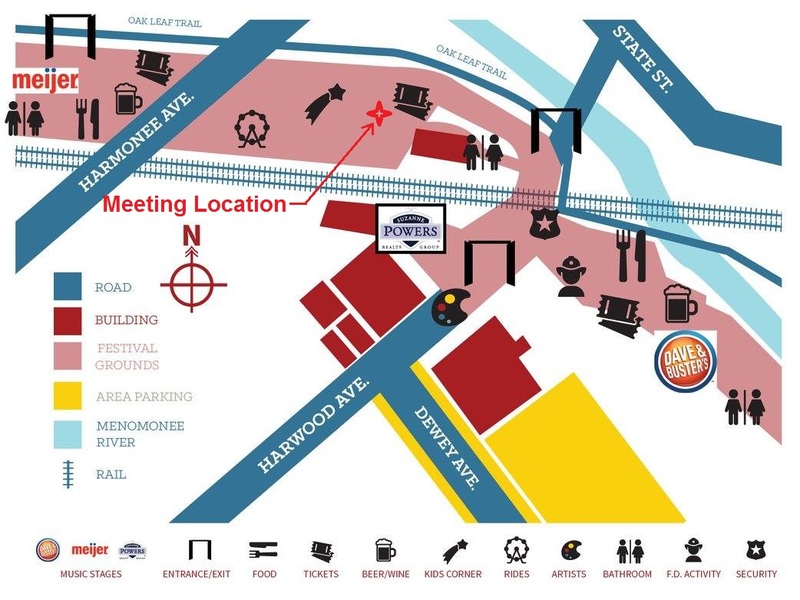 Our meeting location for Tosa Fest on Friday night is indicated by the orange line.